A perfect pure veg breakfast. 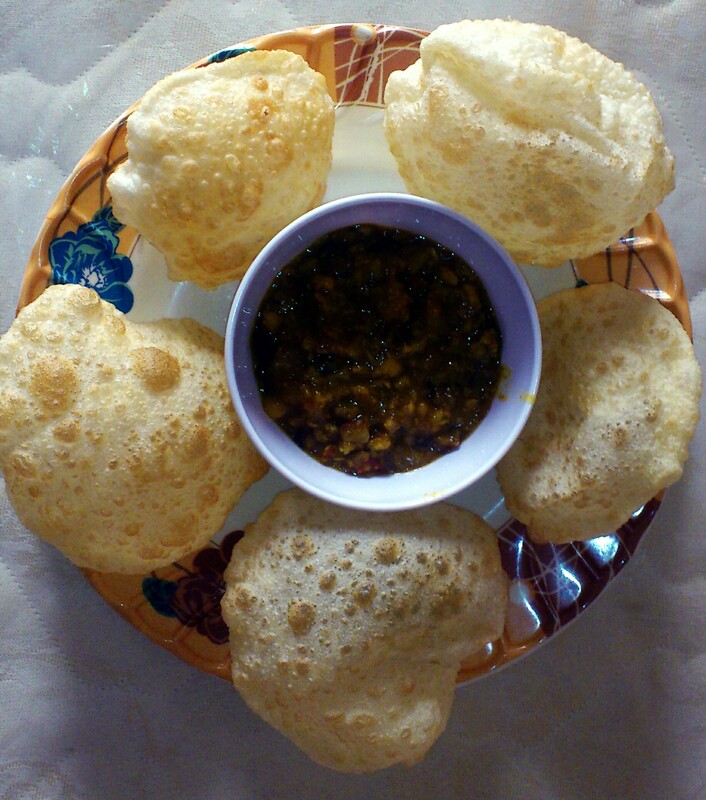 Medium sized balls of flavored flour which is called Luchi served with Chana/Chhola daal. I can eat more than 20 Luchis at a time!